You've found your wedding dress, the venue, your accessories and maybe even decided on you honeymoon spot, so now it's time to turn your attention and efforts to selecting your wedding invitations. Many of today's wedding invitations are printed on high quality card stock, can be personalized and feature complete customization options. They are unique, of the high quality and are offered in a variety of simple and designer wedding collections. With the option to select from such a remarkable assortment of classic, elegant and affordable wedding invitations, many brides need a little guidance to wade through the plethora of choices. Hence, we've developed "8 Hot Tips" so you're be armed and ready to start looking for your wedding invitations. "8 Hot Tips to Select the Best Wedding Invitations"
1) Develop a budget - establishing and sticking to a budget is essential. Although we mentioned this earlier, it bears mentioning again - budgeting is key because all budgets are not equal - meaning, your dream wedding and your current available funding source may need tweaking! If you really want to maximize your budget, remember, in order to create a romantic, contemporary, rustic or themed wedding, taking time to map out a plan that's practical yet allows expression of creativity when selecting your wedding invitations is important. You may want to keep the your invitations simple in design so you can add unique, decorative or even intricate envelopes and packaging. Another option is to choose a more ornate invitation which will allow you to either select a complimentary elaborate envelope or flattering, understated packaging. Just remember, you're searching for unique and memorable wedding invitations that keep your budget in check. 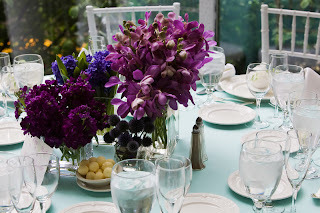 Selecting the right wedding invitations also depends on whether you are looking to have complementary events that would require matching stationery for your engagement party, rehearsal dinner, bridal luncheon, cocktail party, or even a backyard barbeque. Most brides will have at least one or two of these complementary events. Once you've determine how many and which complementary events you will have, let's discuss the next item - choosing your theme. Since one of our "8 Hot Tips" addresses your theme, take time to determine if you want wedding invitations to support a specific theme. Some brides may say they don't have a theme, but at closer examination, I believe most will find they fall into one of the categories listed below, even if the theme is not palpable. Although there may be many themes, we've listed only a few categories below to help you start the process of selecting a general wedding theme to guide your invitation choice. If you follow the "8 Hot Tips" mentioned earlier, we're sure you'll find invitation designs to give your wedding the stylish panache it deserves. Once you've made you've selection, we strongly urge you to stop looking, otherwise it's easy to start second-guessing and to become confused and bewildered by the hundreds of new wedding invitations, announcements and accessories introduced each week. Once the decision has be made, buy your invitations and move on to the next item on your list. It's wonderful - our Girlfriend's Gourmet Collection as a Bridal Shower Party Gifts, is a Class Act! 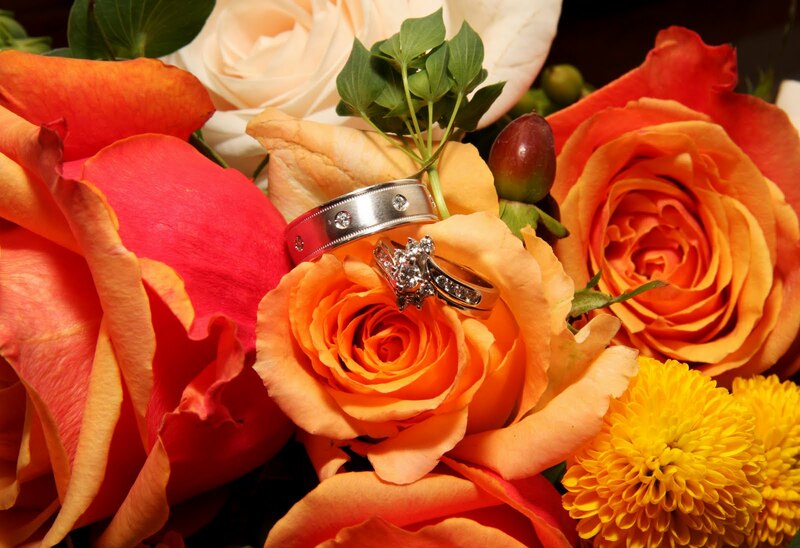 You can take a little time off from planning your wedding to relax and celebrate with your bridal party. Start with our colorful, edible gifts. Invite your bridesmaids over and plan to be the life of the party all while giving your wedding party the greatest, practical gifts they'll truly enjoy. The Collection comes in pretty boxes and easy-to-serve packaging. Each guest will receive their own personal edible treat as a token of your appreciation. The Collection includes enough favors for 36 guests or 42 if you decide to give the lovely Sugar Cookie Mixes as gifts instead of preparing as a gourmet dish for the tea sipping group. 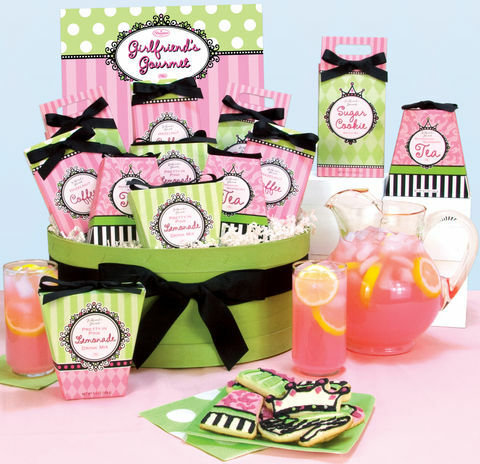 The Collection includes 12 each of Raspberry Tea, French Vanilla Coffee, Pink Lemonade and 6 Sugar Cookie Mixes all in adorable packaging! The beautiful bold green bucket display can be used as a table accent or centerpiece at you bridal shower or bridal luncheon.